If your family has outgrown your current car, SUV or minivan, or you are just ready for a new family vehicle, Nissan has the minivan for you. The new Nissan Quest is a modern minivan for modern American families. With high-tech features inside plus 7-passenger seating and smart storage and cargo options, the new Quest minivan is a smart alternative to a family SUV or crossover. As Nissan's 2016 and 2017 Quest minivans are built for families, they also come standard equipped with the latest safety features from Nissan. 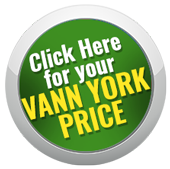 Drivers and families near Greensboro, NC can explore a large inventory of new Nissan Quest models at Vann York Nissan. Shop now to find a new Nissan Quest that your entire family with adore! The new Quest from Nissan proves that minivans can be fun to drive. All 2017 and 2016 Quest minivans come equipped with Nissan's durable and efficient 3.5-liter V6 engine, which offers more than enough power for hauling the kids and cargo around Greensboro or across the country. Nissan's advanced Xtronic CVT (continuously variable transmission) and front-wheel drive come standard, which together helps provide a highly fuel-efficient powertrain for such as spacious vehicle. Your most precious of cargo are sure to thank you when you choose to drive the new Nissan Quest minivan. Featuring more than 177 cubic feet of passenger space and over 108 cubic feet of maximum cargo capacity, the new Quest is much more than a people-mover. Load up the back section of your Quest van with cargo or fold down the rear rows of seats to expand your cargo carrying abilities even further. The latest version of Nissan's minivan is also highlighted by high-tech amenities, like an available Around View Monitor, plus a DVD Entertainment System with a second-row monitor and a Nissan Hard Drive Navigation System. Visit Vann York Nissan in High Point when you and your Greensboro, NC area family are ready for a major upgrade from your current family vehicle. Stop by our showroom, located at 1810 S Main St, in High Point, NC, or browse our complete inventory of new Quest minivans, apply for a new auto loan, value your trade and much more here on our website.